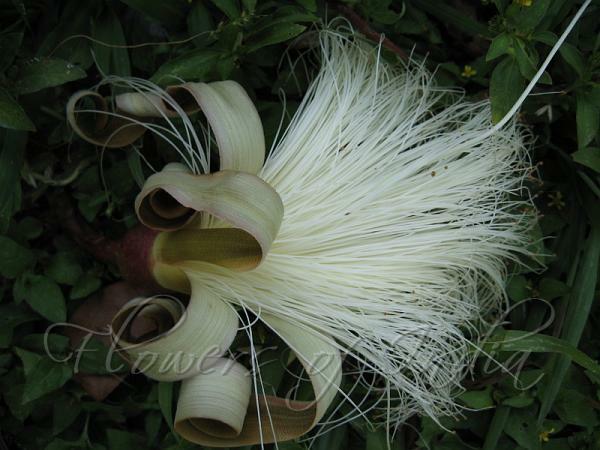 This is the white variety of the more common red Shaving Brush Tree. 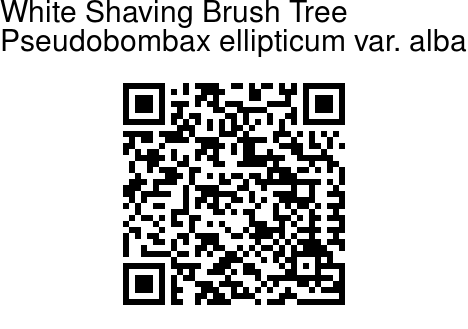 Native to Mexico, the Shaving Brush is a large deciduous tree which can grow up to 30-40 feet. Coveted for it's unique brush-like flowers in late winter, the leaves are an attraction as well. Leaves are first bright red turning a fine green as they mature With minimal water requirements, this is a fine shade tree as well as a show stopper bloomer. Interestingly, this tree is suitable for bonsai treatment as well. Flowers have silky white stamens topped with yellow pollen The wood is interesting as well, showing stripping of greens, yellows, browns and white. Flowering: February-March.